Bigger Boat partners with human services organizations to build custom Salesforce-based solutions which help improve organizational efficiency and effectiveness. Our team has deep project expertise with a range of human services organizations, including organizations focused on child welfare, homelessness, affordable housing, children’s advocacy, disability services, and food banks. Our project expertise includes: case management, client intake, employment services, program enrollment, and program management. Childhaven is a child welfare agency that provides therapeutic, classroom-based treatment to young children who have experienced abuse and neglect. Bigger Boat worked with Childhaven to bring their processes and data into a centralized Salesforce-based system. The new system tracks children from enrollment to completion of program (or discharge) and allows for seamless transfers between branches. We also designed and built a streamlined behavioral assessment form for classroom teachers that is faster to complete, freeing up time for them to spend directly with the children. Interested in learning more? Watch Childhaven demo their system or read our blog post on how we track complicated client relationships for Childhaven. National, regional, and state children’s advocacy centers support and facilitate centers that assist children who are victims of abuse. We have worked with children’s advocacy centers to create systems to track their work with member centers and agencies. These systems eliminated a multitude of tools that had been used for tracking training, technical assistance, program payments, and funder reporting. Example clients include the National Children’s Advocacy Center, Children’s Advocacy Center’s of Texas and the Midwest Regional Children’s Advocacy Center. PROVAIL supports children and adults with disabilities in King and Snohomish Counties. One of their key programs is providing employment services, helping their participants find and retain meaningful employment in the community. Their Employment Services program uses Salesforce to track program participants’ information, business contacts, job development efforts, job support, case notes for services provided, and billing. Bigger Boat worked with PROVAIL to rebuild their legacy Salesforce system from the ground up in Lightning Experience using Lightning Components. Read more in our multi-part supported employment case study. The Rainbow Center provides resources and a safe space for the LGBTQA community through education, advocacy, and celebration. We worked with the Rainbow Center to build a system that better tracks their work with donors, volunteers, and clients. The project included an easy onsite sign-in for clients and volunteers. A key goal was to dramatically improve their reporting to funders, including state and local governments. Tenderloin Housing Clinic is the largest provider of supportive housing to formerly homeless adults in San Francisco. Bigger Boat developed a multi-year plan to replace their legacy client database. Their 250+ employees provide a variety of services including property management, case management, transitional housing, rent payment, representative payee, legal services, and community organizing with a common goal to get and keep people housed. The system built by Bigger Boat streamlines their client enrollment process, promotes communication and collaboration, reduces paper and time between enrollment stages, and allows easy and timely access to program and client data. Read more details in our supportive housing case study or see similar case studies on our affordable housing solutions page. Sunnyvale Community Services (SCS) is a nonprofit emergency assistance agency in the San Francisco Bay Area. They provide financial aid, food, and other support for low-income families and seniors. Bigger Boat rebuilt their system to allow them to see a complete picture of their clients, track food and financial distributions, and add programs as needed. For additional details on how their challenges were solved, see our Sunnyvale case study and our post on advanced NPSP household management. 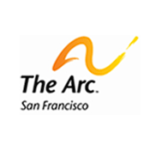 The Arc San Francisco provides support to approximately 550 adults with developmental disabilities across eight programs areas. The Arc needed a system to both support their move to a client-centered service approach and to remove information silos within the organization. This project focused on building a centralized database in Salesforce, incorporating key documents from their paper files, and rolling the system out to a core staff team. 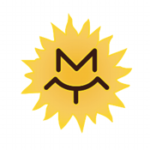 Sundown M Ranch provides in-patient addiction treatment for those afflicted with drug and alcohol dependency. Sundown wanted to improve their client intake process, which was previously handled in their patient management system. We worked with the Sundown team to implement a streamlined intake process in Salesforce that prioritizes clients who best fit Sundown’s treatment approach. To eliminate double entry of data, we also facilitated integration between Salesforce and Sigmund, Sundown’s patient management system. If you are interested in learning more about our work with human services organizations, please contact us or see the additional resources below. Evaluating options to purchase a Salesforce-based case management product? See the top questions to ask when choosing a Salesforce app for your nonprofit. We initially picked our implementation partner based on their skill set, communication skills, and size (we wanted a smaller company). When I looked at partners I was looking at their hard skills. I didn’t realize how important the PROCESS of implementation would be (i.e. ensuring we’re all communicating clearly every step of the way, knowing who’s in charge of what, etc.). Our consultants are great at both focusing on the task at hand, and also at stepping back and look at the bigger picture. Bigger Boat was able to understand our organization’s complex needs and processes. It was amazing to have such a complex and extensive project launch without any major hiccups. Within days of launching Salesforce, we saw improvements in our processes, which in turn had an immediate impact on the people we are trying to help.